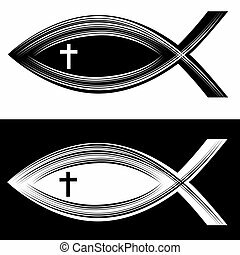 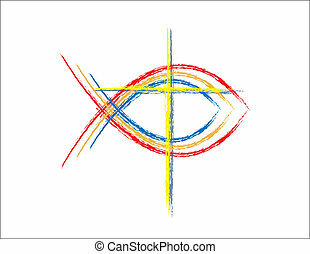 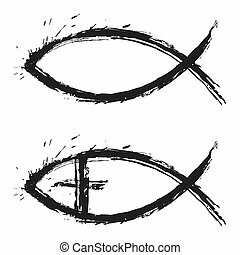 Christian fish symbol with cross. 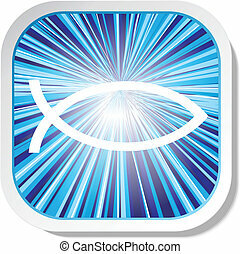 Colorful Christian fish logo with abstract lights. 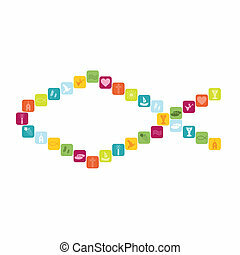 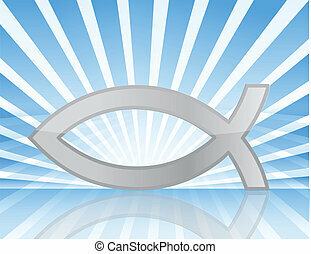 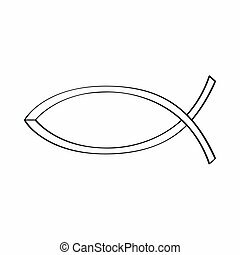 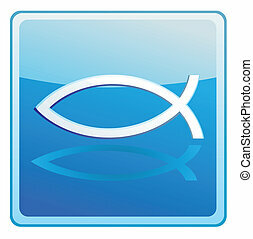 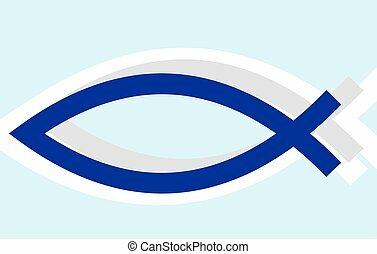 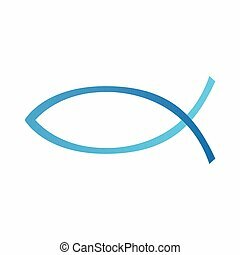 An image of a christian fish symbol.